Photo by the City of Rockingham. 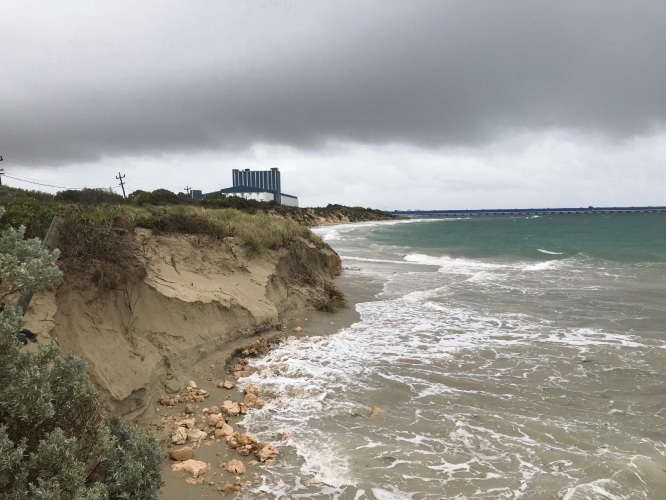 THE City of Rockingham will carry out sand renourishment works at Challenger Beach this month to combat ongoing erosion issues that are occurring on site. Otherwise known as the Kwinana Headland Beach, Challenger Beach is in East Rockingham, just north of the grain terminal on Rockingham Beach Road. The area has long been affected by erosion issues, with the City typically carrying out renourishment works every four to six years. Mayor Barry Sammels said sand from the Point Peron sand trap, which is next to the Point Peron boat launching facility, would be used to renourish Challenger Beach. “The sand renourishment works at Challenger Beach will protect the shoreline from further erosion and improve the amenity of the beach,” he said. Works will begin in late April and are expected to take between three and five weeks.